1) The first time I performed one of my own compositions in a concert hall. It’s been a wild ride, but my debut solo piano album Airborne is done and out! Eleven months ago, I was inspired after returning from two GRAMMY Camps and had a bold idea: I was going to release a thirty-five minute solo piano album by the end of the following summer. 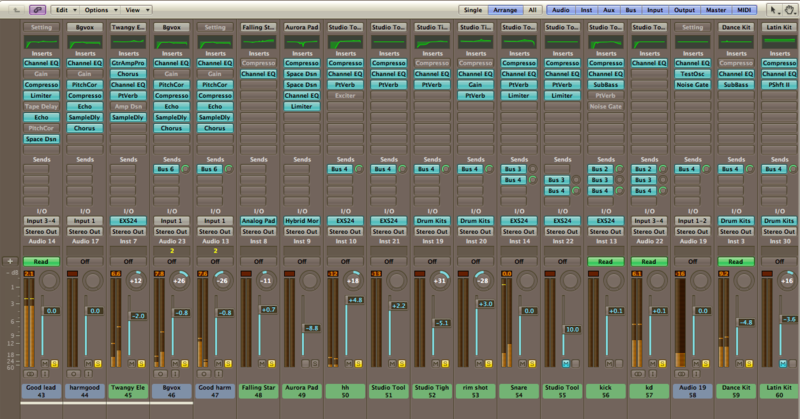 As the lone audio engineer for my piano album Airborne, at this point, I’ve done way too much solo piano editing. Am I that bad a pianist? No, but I’m a perfectionist, so I strive to meet impossible standards—especially since I have such a strong idea of how my own compositions should sound. Too many composers and songwriters just sit around and wait for creativity to happen. But the truth is that, most of the time, by making yourself write, you inherently have to be more creative to be able to put something on the paper in the first place. Remember in english class how you were told to keep your essays on-topic? They said to come up with a thesis, and everything in the essay had to somehow support or build up to it. You weren’t supposed to put in lots of “padding” or go off on a tangent. Well, believe it or not, the same concept applies to music production. Like a strong essay, your song should grab people from the beginning and make them want to stick with it until the end to see how you resolve the “question.” The intensity of the song has to be constantly increasing through contrast and changes in instrumentation, tone, and dynamics. It was 1:00 AM. Like a typical teenage musician, I didn’t feel the least bit tired. The rest of my family had already gone to bed, so I couldn’t play or really mix. What did I decide to do? Why, I added some key commands in Logic, of course! I hit option-K and opened up the long list of assignable shortcuts. I’d already made key commands for most of the tasks that I did routinely, but I wanted to add more to save even more time. Thanks to Hurricane Sandy, I gained a few extra hours today for mixing since classes got cancelled. Where I live, we have been fortunate so far because it has only been raining, and there has just been some mild wind. However, we need to keep those more directly in Sandy’s path in our thoughts and prayers. When it comes to mixing, few things are more frustrating than knowing how you want your mix to be, versus how it actually is and the feeling that you’ve tried everything you can to get there, but it just won’t get there. One thing that has especially continued to elude me is how to get the kick drum to sound strong and present in the mix without too much amplitude accumulation at the low frequencies. I’ve tried boosting and cutting the kick at certain frequencies and then boosting and cutting the opposite frequencies in the bass. It helps, but it’s still not enough.